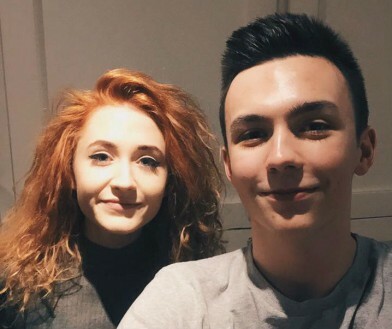 Harry Seaton sat down with singer-songwriter Janet Devlin just before her sell-out show at St Pancras Church, London. She gave us the full lowdown on her new EP December Daze and what to expect next. In addition, Janet faced a Quick-Fire Christmas quiz – with some great results! In 2011, she caught the public’s attention on Series 8 of The X Factor, where she consistently received the highest consecutive public vote out of all the contestants. Then her debut album ‘Running With Scissors’ rocketed to number one on the UK Indie Breakers chart and launched her successfully as an artist in the USA where she is in constant demand. And now, still at the tender age of twenty, Janet is busy writing album number two. In the meantime, to keep her hungry fan base of ‘Devlinators’ sated, Janet releases her festive E.P. ‘December Daze’: an assortment of original seasonal songs and a couple of festive chestnuts thrown in to the merry mix.